The Diaries of a Glam Mama: Liebster Award: Discover New Blogs! The Liebster Award is a nomination to bloggers from fellow bloggers who believe that their fellow blogger is writing some good stuff, but their name might not be that well-known in some circles. It’s a great and fun way to share our bloggy love and connect with each other. Thank the blogger who nominated you and include a link back to their website. Then answer eleven questions asked by the person who nominated you. Finally, nominate more bloggers and list down eleven questions for them to answer. Remember to let those bloggers know that they have been nominated so they can continue the chain. Oh, I am a night owl for sure. I am usually very cranky when I've just woken up, particularly if I haven't had enough sleep (which, being a night owl, is generally the case every other day). What’s the worst tasting thing you’ve ever eaten? Hmmm...I honestly can't think of anything really bad right now, but I had a risotto once that tasted really off. It was at a fancy restaurant, so I thought maybe it was meant to taste that way, but then I had to put up with a week of diarrhoea...so yeah, I'm pretty certain now that the risotto had something in it that went bad! There are two: washing dishes and hanging clothes out to dry! My dream is to own a dishwasher and a dryer (I hope Daniel reads this). What’s your favourite fall back meal idea? Fried rice. You can put anything in it, including leftovers, so it's frugal too. My favorite types are anchovy fried rice (sautee garlic and onion, stir fry the anchovies till they're crispy, put eggs in, and stir in the rice while the egg's still soft - so easy and yummy) and also seafood tom yum fried rice (sautee garlic and onion, stir in tom yum paste, fry the seafood, put eggs in and stir in the rice while the egg's still soft - the recipes all have the same basic steps, as you can see!). Learning to make cupcakes at my school in the UK. To this day, the smell of cupcakes baking in the oven takes me back to that classroom. Oh, this is a tough one. Probably not caring what people think of me, and learning to base my happiness on myself instead of other people. I'm a people-pleaser by nature, but having been taken advantage of time and time again, I have learned to put myself first. Which movies have you watched over and over again? I have a few that I watch at least once a year. Daniel calls them "perrenials", lol. Love Actually, The Notebook, Amelie, Before Sunrise, and Run Lola Run are the few I can think of right now. Those are all movies I first watched when I was a teenager, and in some way shaped how I see the world. Some recent movies that I can watch over and over without getting bored are Hit and Run, Bridesmaids, and anything with Tom Hiddleston in it, hahaha. What are your tried and trusted remedies for colds? Rest and hydration! I've recently started taking lots of Redoxon Vitamin C whenever I'm sick as well. It does seem to shorten the durations of my colds, but maybe its a placebo effect. I am an introvert who has to be an extrovert for her job ;) I love nothing more than solitude, and in fact, I need time alone at least a few hours a week in order not to go nuts. That being said, a lot of the opportunities I've been afforded in life would not have come to be if I weren't an outgoing extrovert when I need to be. What is your favourite go-to place to take out-of-town guests? KL Bird Park - it's small enough to go around in a couple of hours, close enough to the city for anyone to get to, and it has something for all ages. Also, the restaurant there has amazing food! 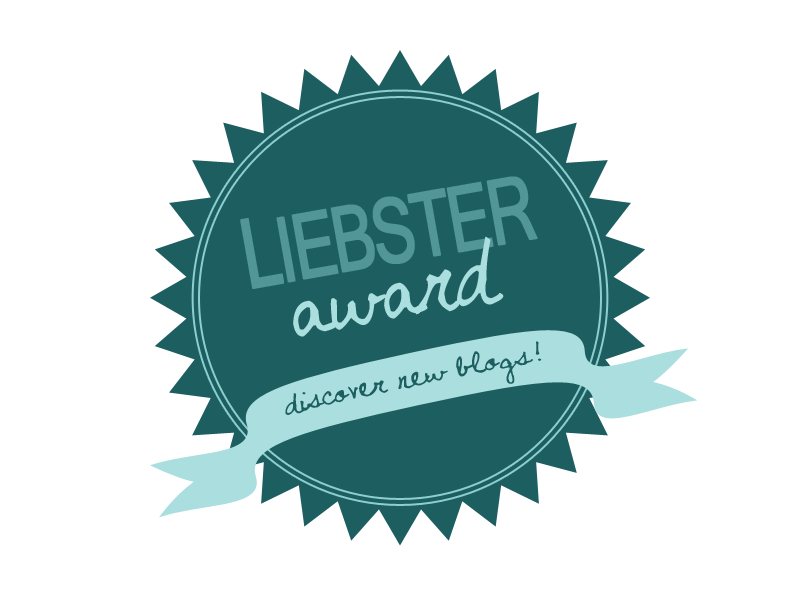 Ok so now I'm going to nominate my blogger friends for the Liebster Award. Please do check out these wonderful blogs - I promise you, you won't regret it! Such a sweetheart, and an incredibly talented photographer, Hanie also runs the travel blog/site Whatever There Was. Whenever I have a bout of wanderlust, I go to her blogs to live vicariously through her experiences, lol! The night we met, I already felt like we had known each other for years. She's so warm, friendly, and bubbly, and it shows on her blog. Such an awesome girl! When I first met Sabrina, she was rocking the best cat-eye makeup I've ever seen, and she proceeded to teach me how to do it. I've been rocking the cat-eye look every other day since! Her blog is full of awesome beauty tutorials and reviews, which of course is very helpful for any glam mama out there. Seriously one of the nicest and most caring souls I've ever met, she invariably ends up being the mama that takes care of the group whenever us bloggers get together. If you want to know what's the latest in beauty and lifestyle in Malaysia, you need to check out her blog! This hot mama (yes, she is a mom!) is not only gorgeous, stylish, and funny, she is also incredibly generous. She hosts awesome giveaways on her blog, and is always sharing the latest news in fashion and lifestyle. My real life friend and former classmate in grad school, this JB-proud lass shares lots of recipes and thoughts on her blog. Some of her recipes have become household favorites! Ila's been supportive of me for years and years, and she was one of the vendors at Glam Mama Bazaar (her begedils are sooooo good). 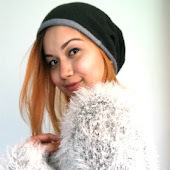 She has lots of product reviews on her blog, as well as photos of her adorable boys, Khairy and Arief. What is your favorite thing to do whenever you get some time to yourself? What are your top three favorite travel destinations? If money wasn't an issue, what would be your dream job? Which do you prefer: eBooks or paperback? Would you prefer a night out or an evening in? What's a place you've never been to that you would like to go? If you could go back in time, what year would you go back to? What's the best movie you've watched this year? Ish! Jangan la pitam! Mana I nak cari doctor hensem bantu u niiii. Ooooo ok I nak cekidout sekarang jugak k! Soon we meet, my darlingggg! Babe you dah tengok Before Sunset and Before Midnight lom? Sila tengok kalau belum! Sgt best k.
This was such fun to read! And thanks for the intro to your bloggy network. Will definitely check them out. Always great to check out the vibe in other circles. I had fun reading yours too! And I checked out all the blogs you listed as well. This is such a great idea, thanks for nominating! Hi! 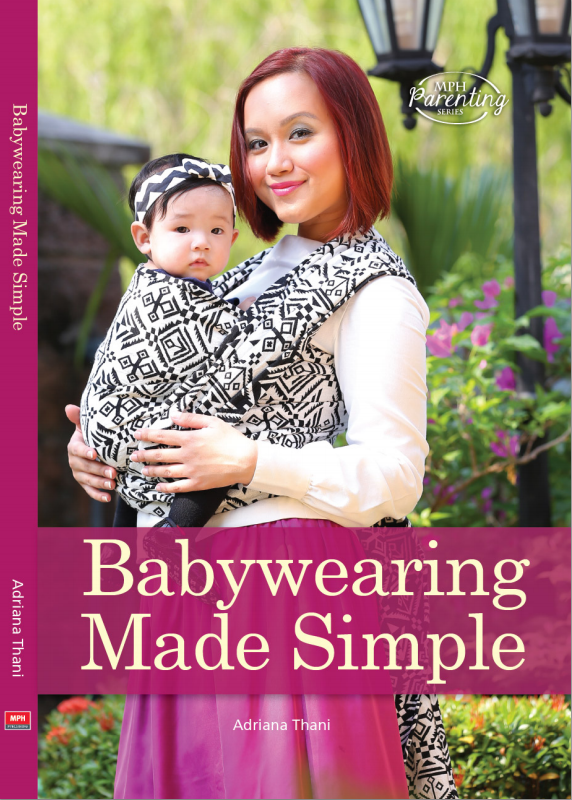 I found your blog when I was googling about babywearing (kind of a newbie), and I am glad I found this post too. Its great to discover interesting fellow bloggers like the one you share and including ur blog too of course. Hi! Thanks for reading and commenting! I hope your babywearing adventure is going well - please don't hesitate to get in touch with me if you need any help :D And yes, I love discovering new blogs myself and I was glad to have this award as an excuse to go blog-hopping ;) Glad you enjoyed it too!